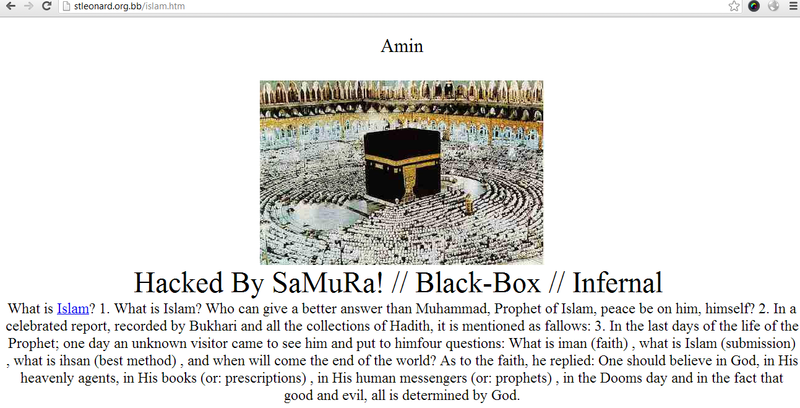 The Turkish Samurai Hacker, along with his friends have been attacking high profile companies and countries everyday, This time carrying up with the cause, the hackers have hacked 21 Barbados websites including the official websites of the country’s Supreme Court, The Regional Security System, St Leonard Church and Barbados’s Mancal Bank. 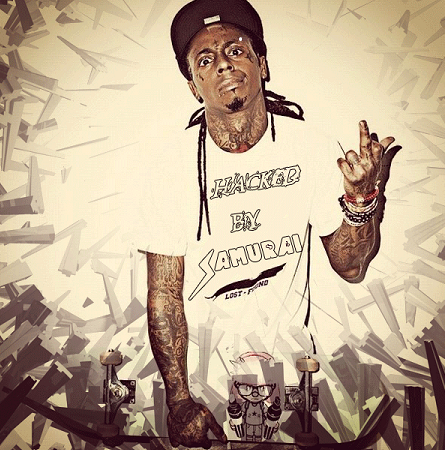 The hackers left 2 different deface pages on the targeted websites, on the Supreme court site the image of rapper Lil Wayne with a message ”Hacked by Samurai Hacker” and on the Church site, the hacker put up a detail message about the religion of Islam and explaining what Islam is about. What is Islam? 1. What is Islam? Who can give a better answer than Muhammad, Prophet of Islam, peace be on him, himself? 2. In a celebrated report, recorded by Bukhari and all the collections of Hadith, it is mentioned as fallows: 3. In the last days of the life of the Prophet; one day an unknown visitor came to see him and put to him four questions: What is iman (faith) , what is Islam (submission) , what is ihsan (best method) , and when will come the end of the world? As to the faith, he replied: One should believe in God, in His heavenly agents, in His books (or: prescriptions) , in His human messengers (or: prophets) , in the Dooms day and in the fact that good and evil, all is determined by God. The other hacked websites includes some local software companies, civil service and sites of local organisations. The link of targeted websites and their links are available on Zone-h. He is the same hacker who recently hacked Casio Electronics, Lenovo electronics and RedCross Taiwan, UNESCO Cuba, UN Philippine and World health organization Indonesia in Past. At the time of publishing this article, all the sites were displaying deface page left by the hacker.